The purpose of the Mission Endowment Fund is to make distributions that enhance the mission and ministry of Our Savior Lutheran Church apart from the general operation of the congregation. We look to support youth programs, scholarships, leadership training, outreach to the larger community, and other extraordinary programs/ministry initiatives that further the mission and ministry of Our Savior Lutheran Church. 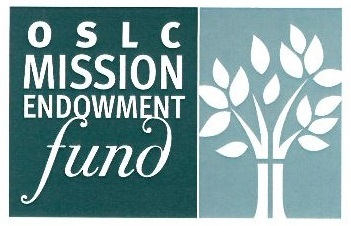 Our OSLC Mission Endowment Fund is open for applications thanks to support from many donors over the last three years. We now have a modest and growing ability to make grants with somewhere between $500 and $2000 available for distribution presently. Applications can be submitted at this link: OSLC Endowment Fund Application Form. Submissions will be considered by the membership of the committee which meets quarterly.